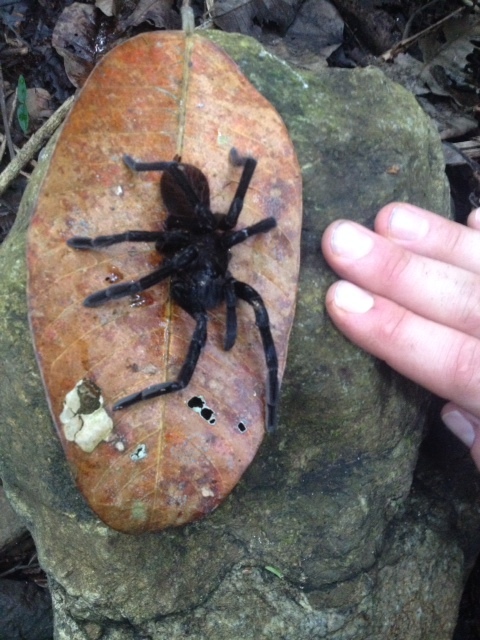 Just back from filming for our Animal House series shoot in Costa Rica. 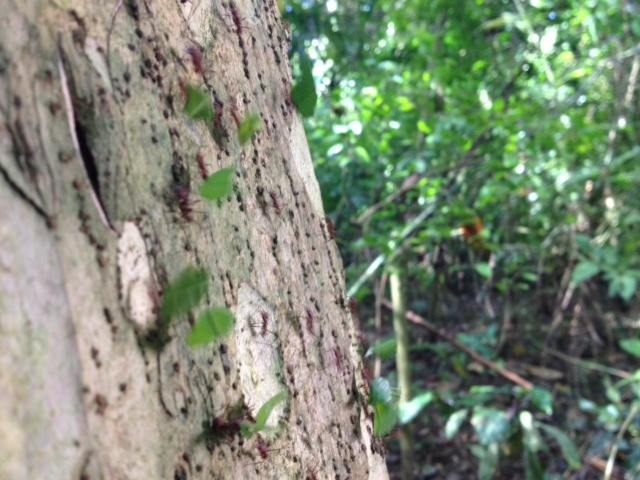 The leaf-cutter ants were mesmerizing! They are going to make such a cool part of the show. Here are a few pics hot off the press. The jaws of one of the soldiers = 25% of her bodyweight!! Turns out these are the ones that spring into action if the colony is attacked by ecologists and filmmakers. The biggest I’ve ever seen. And wouldn’t you know it – growing on the soil excavated by the ant colony. 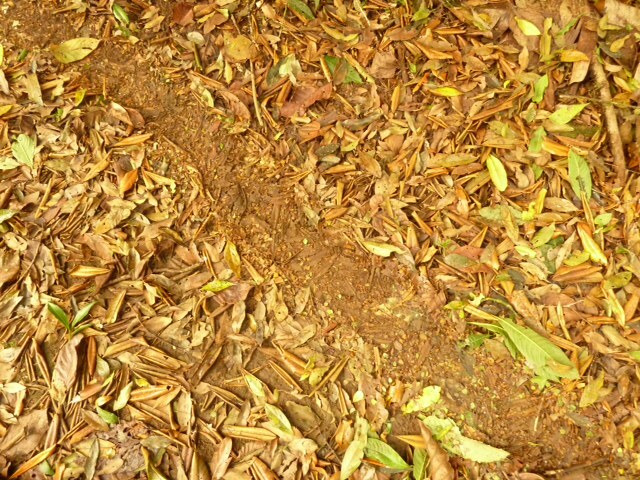 One of the first ant trails I came across – the workers clear the way for their hundreds of thousands of sisters who are the leaf carriers, literally, the road crew building a path from the tree food to the underground colony. 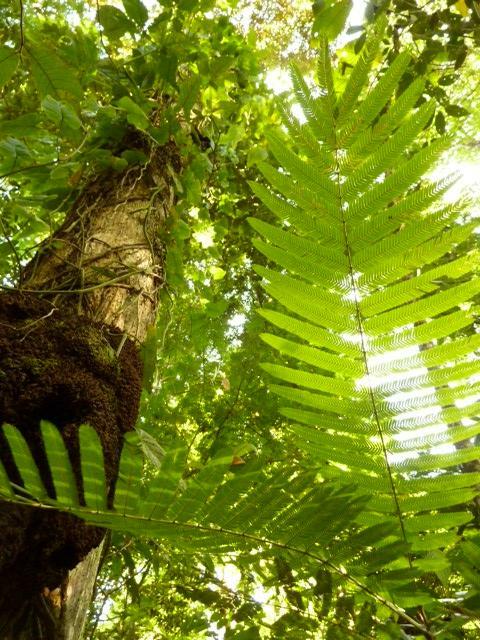 The forest at La Selva research station. 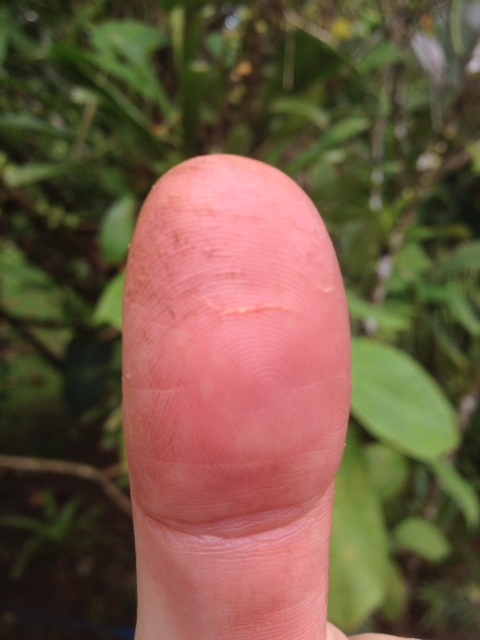 The colony we filmed (right of path) at La Selva research station. In the shot, a Boroscope lens used to get incredible closeups of the ants and their tunnels, AND the people peering down them! 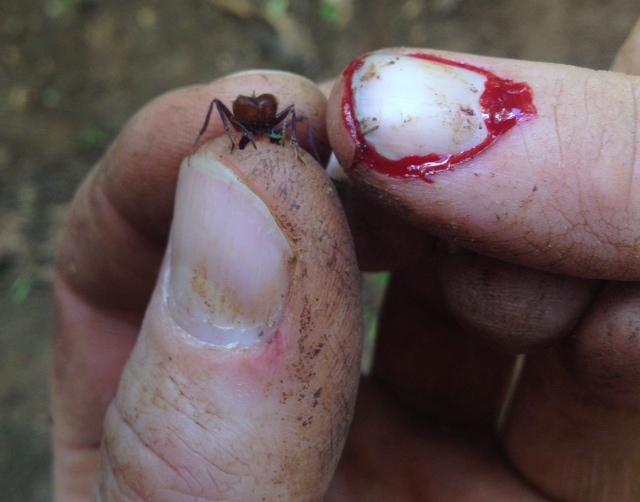 The damage one soldier did to my index finger, before then tucking into my thumb. WOW! Painful! I now know the pain a leaf feels. This is the perfect clean cut across the tough part of my thumb. Left alone, these ladies can bite through shoe leather. The elusive queen. Here in a captive situation being tended by her brood (otherwise she’s nearly impossible to find. OK check out these mind-blowing queen facts: she starts the colony alone after mating with about 4-5 males and collecting 200 million sperm from them. For the rest of her life she becomes an egg-laying machine, pumping out 40,000 eggs per day. Thats 2 per second. Or 15 million per year. Her colony can be 10 million ants strong. All sisters, all with the same mom. 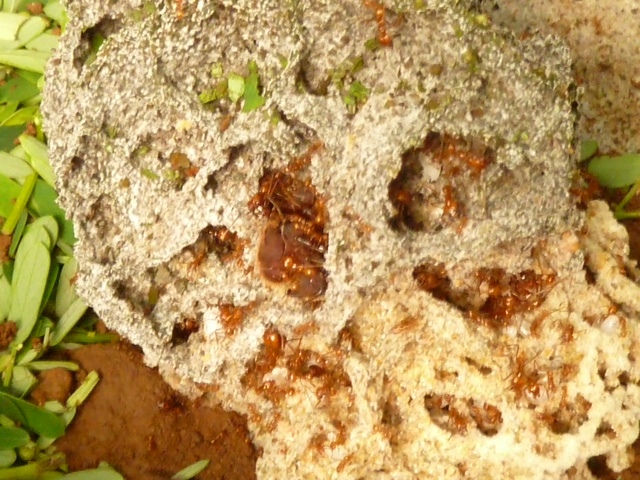 5 different sized ants in different castes have distinct roles to benefit the whole community. There may be a lot to learn from these guys! They don’t eat the leaves – they bring the leaves underground to mulch into compost. 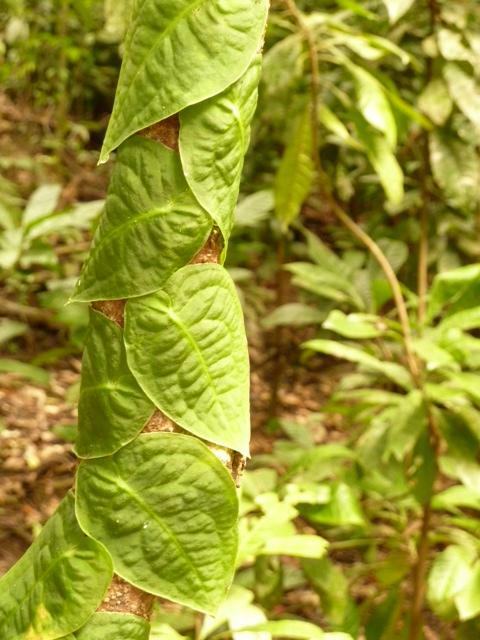 Fungus grows on the leaves and the larvae and young ants eat THAT! They were “farming” 50 million years before us! 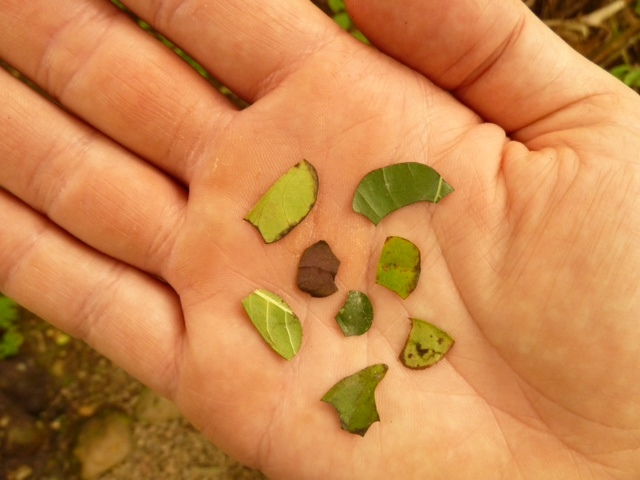 Some of the leaf fragments perfectly cut by ants. Different sized ants cut suitable sized leaves. Cameraman Mark Carroll filming the ant refuse dump. It was warm like a compost heap. Rainforest scene. Every inch occupied by SOMETHING! 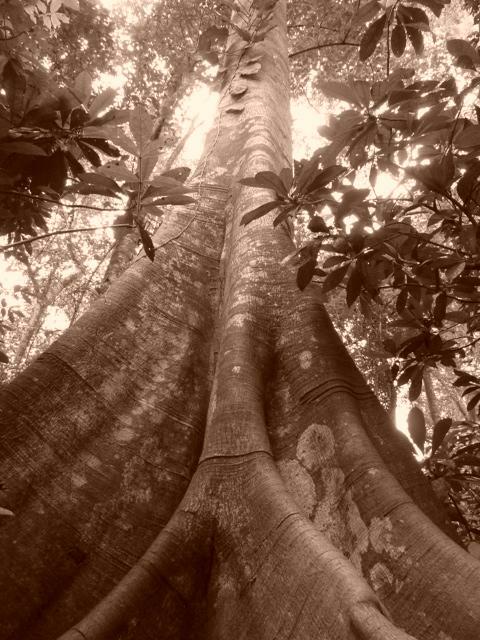 Amazing buttresses on giant trees. Don’t worry – it was dead, but certainly caught my attention! 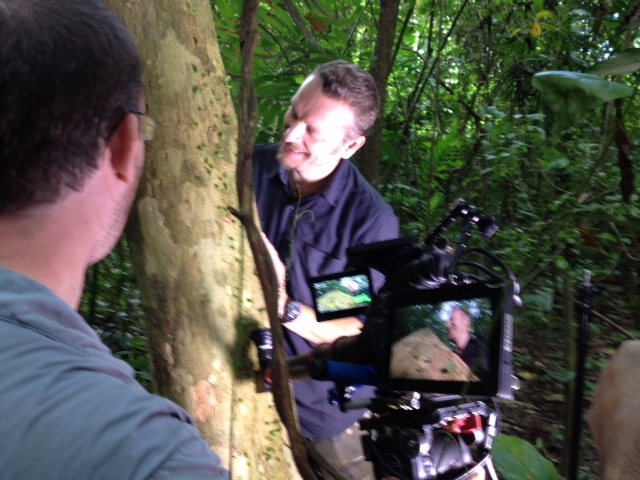 The tree where we filmed thousands of ants carrying their garden from the tree tops to their underground space stations! 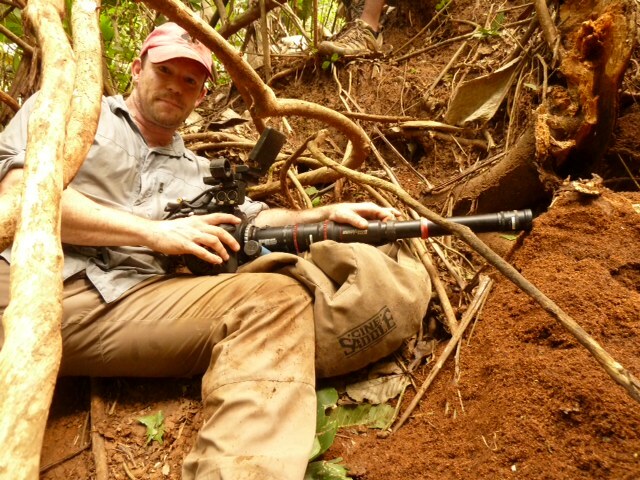 Filming the ant action. 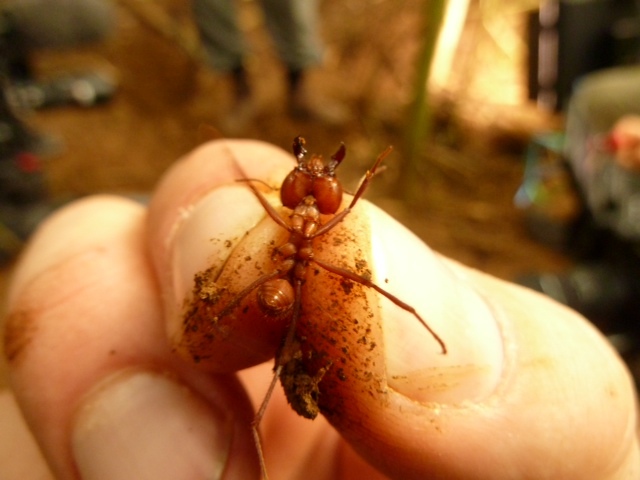 Get this – some of the ants carry hitch-hiker sisters on the leaves – smaller castes of ants from the same family that are there to “waft” away parasitic flies that try to lay eggs on the carrier’s head!! What a way to make a living! 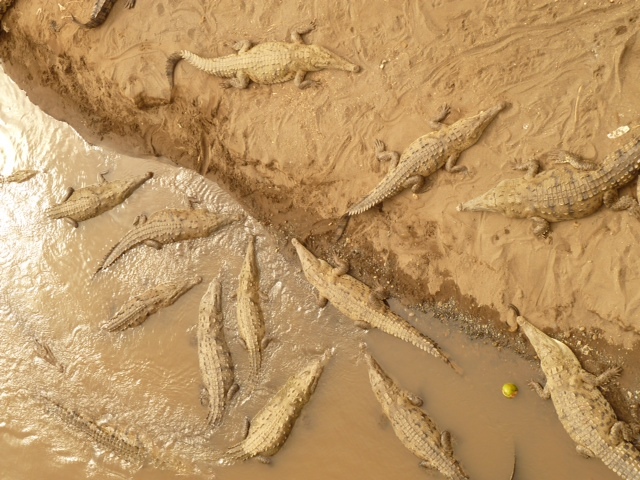 As close as I got to these crocs. This scene amazed me. Your narration, by turns jauntily amused and stirred unto heartbroken pathos to suit, on the episode of NATURE on Love in the Animal Kingdom could not possibly have been more winning. Wow that’s cool thanks Scott! 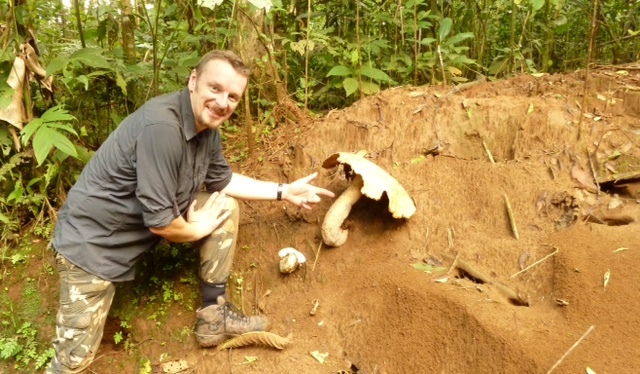 I'm an ecologist, TV host, wild guide, conservationist and narrator. I believe that a bit of the WILD resides in all of us, and that reconnecting with it is good for people AND the planet. Click here for my hub web site, film clips and more.